The new magazine of Ennolys “In the Air” comes to light! Home > News > The new magazine of Ennolys “In the Air” comes to light! 27 Mar The new magazine of Ennolys “In the Air” comes to light! 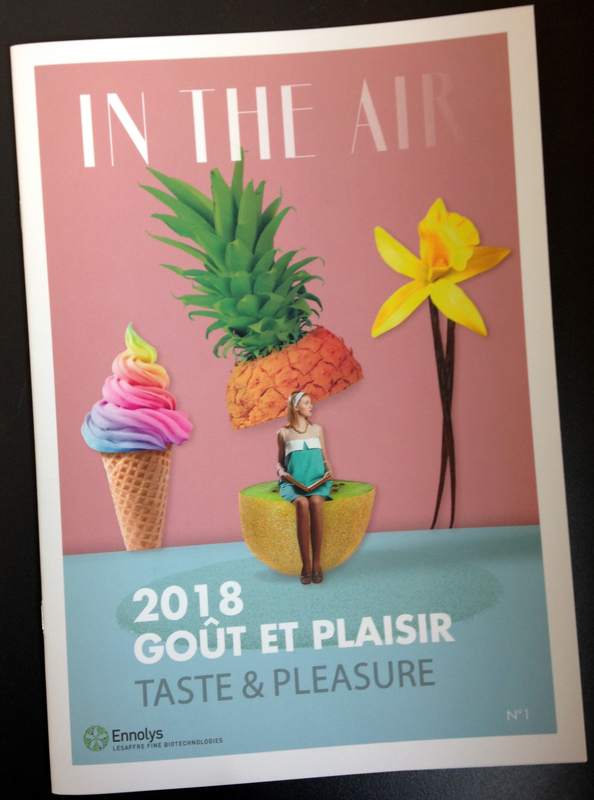 “In the Air”, the new annual magazine of Ennolys had its debut at the beginning of March 2018. It is a magazine to be tastefully read. Its objective? To make known our company and its brands. The magazine investigates current events in the world of aromatics. It also showcases the expertise Ennolys has in fermentation, regulation, safety, and communication in addition to providing a focus on our products. Don’t hesitate to ask for a copy!